In today’s world, nearly every young person has a virtual life on personal websites such as Facebook or MySpace, and it is safe to assume that a potential college coach will try to find your online identity. First impressions on the Internet are hard to erase, partly because pictures and information on the web can be easily copied, downloaded and reproduced. Even after the original is gone, it most likely still exists on some website, somewhere, with someone. Thus, we recommend a student-athlete should keep his or her digital profile clean, private and respectable. This goes for both high school and college athletes. In the real world, employers often do a detailed background search including a web search before they will hire someone. We’ve heard plenty of stories from college coaches where they have found pictures of student-athletes online, drinking alcohol and/or partying. Right off the bat this tarnished their image with their potential coach. Remember, college coaches are looking for someone that is going to represent their program on and off the field. An easy way to check what’s out there is to Google yourself. If you don’t like what you see, contact the site or user and request that they take it down. Hello, my name is Josh Strobl, and this is the first of several blogs that I will be contributing to share some of my competitive sports experience and knowledge. The reality about making the transition from youth to high school to college sports is that there are an infinite number of questions, and many of them go unanswered. My goal is to shed light on the process and provide you some valuable insight and answers to frequently asked questions. A little bit about myself, I grew u p in San Diego, California where almost all sports are played year round. My parents were not former athletes but they enjoyed sports and gave me every opportunity to play any sport I choose. I grew up playing baseball, soccer, tennis, and basketball as a youth. 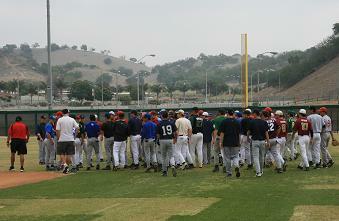 Prior to high school I found myself playing baseball most of year for a San Diego based traveling team. In high school I ran track & field, played football, basketball, and baseball. Eventually I would play collegiate baseball as a catcher and third baseman, but I did experience a sports burnout at a young age and opted not to play baseball as a high school freshman. This leads me to the first topic: choosing a sport and playing as many as possible. I don’t have any swimming stats from college, I never finished a mile around the track at my college while spectators stood by, and I certainly haven’t cleared a high jump bar beyond high school. But that doesn’t mean I didn’t take the journey towards college sports. As a two-sport high school athlete who didn’t play college level sports, you may be wondering why I am writing on this subject. Here at SportsForce we are dedicated to assisting student-athletes reach their potential and a big part for those that want to pursue sports after high school is finding the right college fit for you. At seventeen, deciding what you want to major in through college is terrifying, factor in where you want to live, laying out your schedule and deciding what sports program might be right for you, these decisions can be downright crippling. I went down this path. I swam competitively all my life. I loved it and wanted to keep swimming in college. As a straight A student, I also loved writing, learning and all that good stuff. I needed a school that could nurture me academically and socially, but also offer a swim program that would allow me to maintain my life. I had swam competitively since I was six years old, and couldn’t imagine life without it. I had looked into many colleges with DII and DIII swim programs. Some were great schools, but I was in love with the University of Rhode Island. As in “Division I athletics” University of Rhode Island. After much thought I decided I wanted to go to URI, it had the academics, the location and social opportunities I looked for, I would figure out the swimming part later, I thought. At freshman orientation several meetings ran at the same time for students to attend. Varsity athletics and the Honors Program were at conflicting times. Being more terrified of hard schoolwork than a heavy athletic program, I went to the varsity athletics meeting. I sat in on the swimming meeting, spoke with the coach, and though I was still terrified, got excited to swim for URI. I was a little nervous about how doubles sessions and away meets would work with my class schedule, but figured I would find a balance, as many, many athletes do. Are you taking the rights steps to reach your athletic potential? Are you looking to have a breakthrough season or potentially win a starting position on the team? Either way you’ve got to have a plan to reach your potential. The majority of this year’s high school sports seasons have ended and the rest are coming to a close. With summer right around the corner, it’s time to take advantage of your free time and step your game up. Here are few key areas to focus on . We all know that the summer is the prime season to relax and hang out with your friends. However, with proper time management, you can definitely find time in your day to get workouts in and still enjoy the good life that summer has to offer. Sit down and create a specific schedule tailored to the demands of your sport. I recommend you schedule your intense workouts in the morning as it’s more difficult to do them as the day moves on. Also you should assign certain days for specific areas of your training program such as resistance training, speed / agility training and conditioning. Some days you might have a training session and practice, in that case I recommend handling your strength and conditioning workout in the AM and your practice in the PM. Once you create this schedule, be sure to stick with it. This will certainly pay off once your season comes around. To make sure you keep up with the schedule, post it on a calendar in your home or at least hang it up somewhere visible in your room. It’s always great to actually notice and feel some improvement in your conditioning and skills. Go ahead and set some goals for yourself so that you can feel inspired to get out and train each day. The key point here is to write your goals down and be specific. Goal example: “To improve my overall strength by 10% over the next 3 months.” You can measure this by keeping track of your workouts and the amount of weight you are using per lift / exercise. Once you start seeing the slightest progression in your game, you will definitely want to continue making progress with your training program. You can set pre-season goals, so that you’re in top shape and ready once pre-season practices start, as well as set goals for the season to motivate you to strive for perfecting your overall abilities in your sport. The downtime you find during the off-season provides the perfect opportunities for you to analyze your weaknesses and tackle them head-on. There is always some aspect of your game that could use improvement. Take a moment to reflect on past performances and list the areas where you believe you could improve the most and why. I’d also ask someone you trust, whether it’s a coach or one of your parents, what areas of your performance could you improve the most. This will help provide clarity on what areas you should focus on. As a high school varsity coach, we make a point at the pre-season meeting to set the tone with parents regarding how, when, and why to address the coaches and which topics we are willing to discuss. This way, it is clear to the athletes and their parents. We are setting the standard for communication before the season begins and we work to manage their expectations in order to prevent headaches later. We state clearly that at the varsity level we will discuss playing time, practice times, areas of improvement, and time off requests with athletes directly and NEVER with parents! At the varsity level it is time for student athletes to learn how to manage their time, communicate and articulate their thoughts directly to the coach, without the crutch of their parents. We want our athletes to cultivate their relationship with us (coaches) without the help of their parents. When this precedent is not set, the coach’s job becomes much too large. Their job is to coach, not to handle an athlete’s social calendar or to counsel a parent regarding their child’s playing time. Parents have nothing to do with playing time; everything an athlete must do to increase playing time is 100% up to them, which is why any questions/concerns should be between the athlete and the coach. 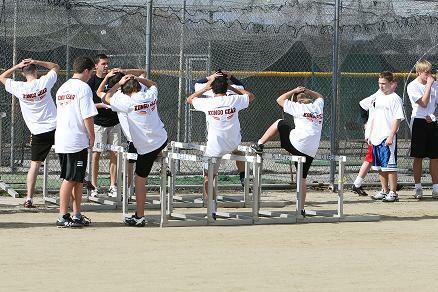 Athletes can approach either the Assistant Coach or the Head Coach directly. The Assistant Coach is able to gauge whether or not the topic at hand is worth including the Head Coach. Typically the matter can be handled by the Assistant without distracting the Head Coach, this is part of the Assistant’s job – to handle any extraneous concerns. If an athlete has a question, it is appropriate to address the coach before or after practice or send an email to schedule a time to discuss one on one or over the phone. A discussion should never occur via email or text – it should only be used to schedule a time to talk. That being said, I strongly encourage parents to introduce themselves to the coaches early on in the season, ask the coaches if they need any assistance or help with scorekeeping, management, ordering jerseys, pictures, team dinners, etc. Recognize when the coach does something you like and encourage other parents to do the same, this makes it much easier to address the coach later on. 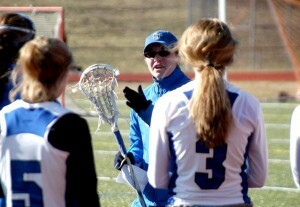 Positive reinforcement is not only appreciated by athletes but by coaches as well! Getting the most out of your time is important to every college student, whether you’re an athlete, an honors student, a part time student or someone taking on more credits than imaginable. As with many things in life, the mantra, “work hard, play hard” works well in the college atmosphere. I hope to offer you a few tips to get the most out of your time in those four years, or whatever they may be for you. Though I did not play a sport in college, I did work 20 hours a week and was active in many clubs and organizations. Trying to balance these commitments with class and studying, I learned a few tricks to get the most out of my time and still manage to push myself and enjoy the college experience. One way to avoid a time crunch during your college years is to enroll in Advanced Placement (AP) classes in high school. Most schools offer a variety of AP subjects, which will not only count for credits in high school towards graduation, but also offer you the chance to earn credits for college. 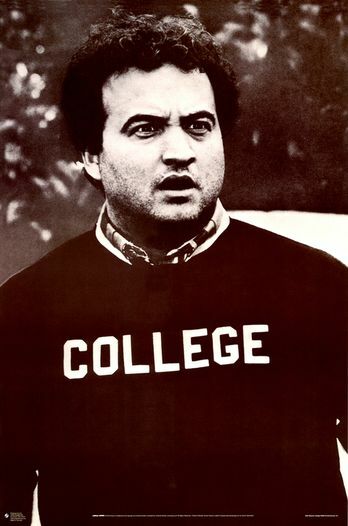 To count for college credit, you must pass the test at the end of the course, and be sure that your school of choice will accept these credits. This can ensure you have some general education classes or Gen Eds finished before you even step foot on campus. Just be sure you know where you send the scores, your school will process them apply them to your transcript, so long as they have received the scores in the first place. This is something that is important to follow up on. Despite getting some credits out of the way, scheduling classes around your extracurricular activities can still be tough with many higher-level classes only being offered at one time or only one semester during the school year. An easy option to work around this is to take down your course load if you can. Summers are a great time to squeeze in classes you may need. You can either take shorter, more intensive courses from your university over the summer or take them from an accredited college in your hometown. I was able to knock out some Gen Eds during summer courses, allowing me to take fewer credits during my senior year. There are also many different types of classes out there which may be easier to work into a hectic schedule. Some classes meet just once a week for a longer block of time, while there are also opportunities for independent studies. Don’t be quick to panic about classes running into your schedule, from colloquiums, to independent studies, there is many options around the usual Monday, Wednesday, Friday classes. Many schools are now offering online courses even for students who live on campus, allowing for more flexibility in scheduling. Really researching and planning out classes and credit loads can be time consuming, but it will pay off when your schedule is able to accommodate all of your obligations and still leave time to enjoy the college life. My name is Alyssa Sobolik and I live, breath and sleep soccer. I’m from Northern California and played soccer in college at Santa Clara University from 2001 to 2005. I currently live and coach soccer in San Diego where my main focus is helping prepare athletes for the opportunity to play soccer in college and then help them through the process. Because of my experiences and first-hand knowledge of playing college soccer, coaching college soccer and coaching club soccer, I am able to better prepare athletes for what steps and efforts need. I aim to help athletes not only get seen by college coaches but to ultimately make the right decision on what school to attend. Picking a school to go to is tough enough without factoring in playing for a team. Do I want to go to a big school, small school, east coast, west coast, private versus public etc? These are decisions that every college bound student must make. But, as an athlete you have to take it one step further and see if the sports program is right for you. Each prospective athlete is allowed five official visits that each school pays for. I definitely recommend taking all five to get the best perspective on each school. I took my five to Santa Clara University, University of Michigan, University of Florida, University of Connecticut and Boston College. 1. Do I want to go to a big school or a small school? 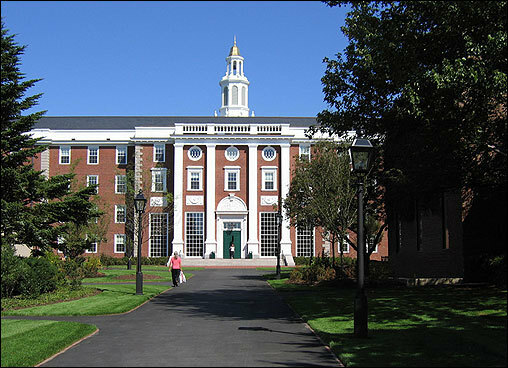 How big a school is can greatly affect your college experiences. University of Michigan has roughly 27,000 undergraduate students. University of Santa Clara has 4,000. A smaller school is going to give you a more intimate college experience where a larger school will provide surprises every day. 2. Which areas of the country would I be happy to live in? Growing up in California, I wanted to go away for college to experience a different lifestyle. Ultimately I ended up choosing a school 20 minutes from where I was raised. The reasons were simple in the sense that Michigan was too cold and I didn’t want to play in the snow, Florida was too hot and humid for me. Both schools I LOVED, but didn’t feel I would be happy there. From 6am practices to weeklong road trips, life as a college soccer player demands passion and commitment. My name is Alex Fuller and I am currently a junior at Point Loma Nazarene University where I play on the Women’s Soccer Team. Soccer has always been a huge part of my life. I grew up in a family centered around soccer. My dad played at the collegiate level for Notre Dame and my 5 younger siblings have all either played or currently play club soccer. Club soccer definitely requires major dedication. Similarly, college soccer calls for tremendous perseverance and determination. 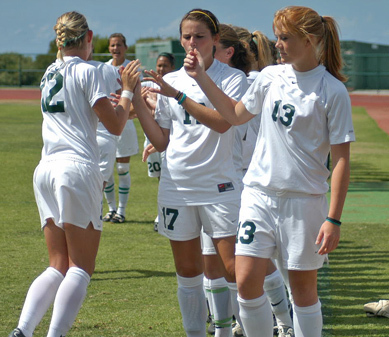 Being a member of the PLNU Women’s Soccer Team has been both challenging and rewarding. It has been a difficult road but at the same time, the most fun and fulfilling part of my life. Life as a college soccer player is like being on a rollercoaster; with its ups and downs. There is nothing like being introduced to the crowd before a game or driving up to a hotel that reads “Welcome PLNU Women’s Soccer Team!”. I cannot begin to explain the satisfying feeling I get from representing my university through soccer and playing in front of screaming fans. At the same time, when I have to wake up before the sun rises for practice, I am not as giddy about my commitment. A college soccer player’s daily routine consists of 4 things: class, food, practice, and sleep. Personally, I have to have all of my classes scheduled before practice at 3pm. Night class is almost impossible during season. If I am able to find 5 minutes to run into the cafeteria for a sandwich before practice, it’s a good day. In total, the amount of time I spend down at the field each day is around 4 hours. This includes time to get taped before practice, practice time, and time for icing and treatment after practice. By the time I leave the field for the day, the only thing I can think about is sleep, after I watch my daily episode of Seinfeld, of course. 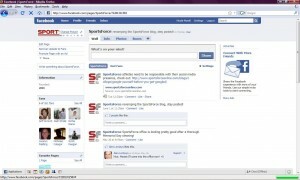 Welcome to the SportsForce Blog! The SportsForce team is excited to be launching our blog prior to launching our new online sports career development platform this summer. The goal for the SportsForce blog is to provide athletes, coaches, parents and more with valuable in-depth insight and interviews covering the college recruiting process, advanced training tips, coaching advice and more. Imagine applying proven strategies and having a clear game plan in place to help reach your sports career development goals. 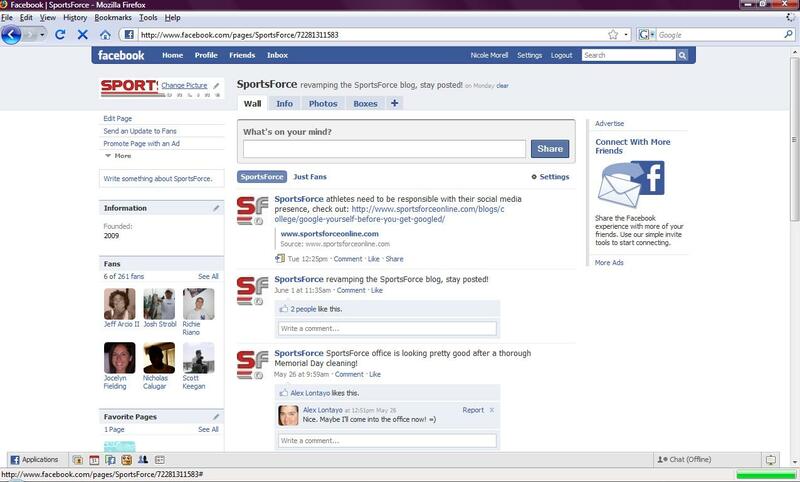 The SportsForce team has over 60 years of combined college and professional sports experience. We will openly share our sports experience and insight with working with almost 1,000 student-athletes and families over the last couple years and numerous conversations we’ve had with high school coaches, college coaches and professional athletes from around the country. We recommend you subscribe to our SportsForce newsletter to automatically receive the latest insight and interviews in your inbox. We will also be offering a special invitation to be on our private beta list to be one of the first people to see our new site we’ll be launching this summer.